Last we heard from YouTube's most popular gamer, he was turning off comments in an effort find better ways to connect to his fans. Now, a couple of months later, he reports that the change was ultimately a great one. 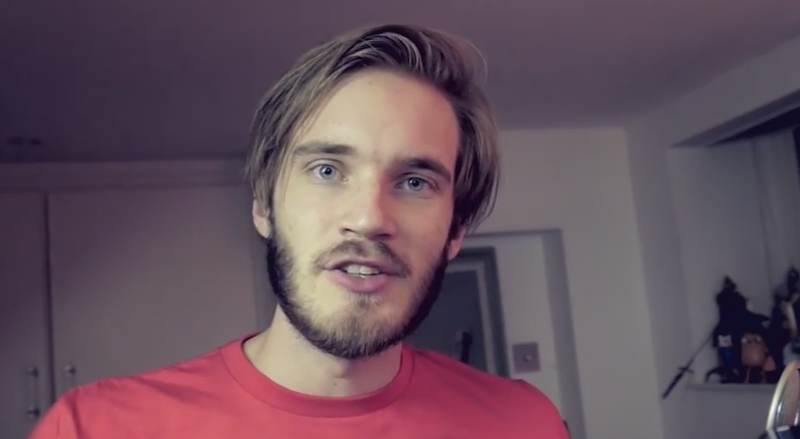 "Before I turned off my comments I think things were going downhill," Felix 'Pewdiepie' Kjellberg remarked on a subscriber celebration video uploaded today. "Making that change, I feel like we've been going back up. It's been making me really happy, it's been making me enjoy what I do." Kjellberg goes on to talk about the ways he's kept himself happy despite the fame—notably, playing the sorts of games he wants to play, instead of relying solely on horror games, as some of his fans would like him to. While it's a short video, it's interesting to hear him talk about this stuff: based on numbers alone, he's doing fantastic. But subscriber count isn't everything, especially if certain aspects of YouTubing aren't making him happy, or if he's having trouble connecting with his devoted fans. Some aspects of fame are difficult! It's worth noting that Kjellberg says he turned off comments largely because his channel was getting spammed too much, not because of toxicity. Still, his choice is an interesting one: enabling or disabling comments is a hot topic when it comes to online communities, and some people would argue that turning comments on isn't the greatest move (at least, not without fierce moderation). Personally, while I don't think our system at Kotaku is perfect, we do appreciate our lively, clever commenters here—though I recognize that we also have better tools than the ones available at YouTube. EDIT: That's not to say Pewdiepie fans don't have a place to talk about his videos anymore, of course. Instead of comments, Pewdiepie has moved on to using forums for discussion.